The photo was taken on May 8th 2007. 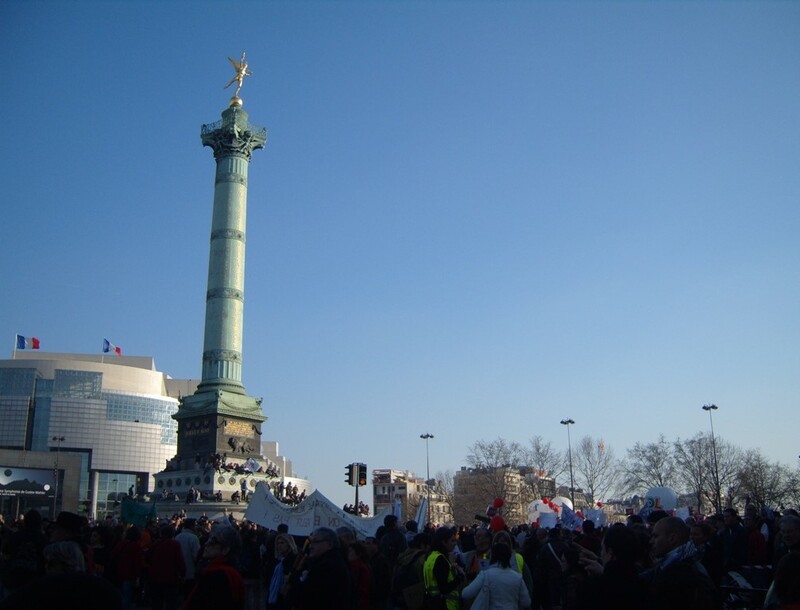 I’m not 100% sure what protest it was, but as it was a week before Sarkozy was elected President, I assume it was a protest against him. Of course, it’s a pure coincidence that I post this picture of the Bastille in those troubled times in my homeland.